Abstract: Neuropathic pain (NP) is a common condition characterised by subjective negative and positive symptoms that range from numbness to debilitating pain. NP can have a significant negative impact on a patient’s quality of life. Pharmacotherapy is typically the first step in treating NP. Guidelines and consensus statements from various organisations around the world appear to be consistent with the classes of medications recommended for both general and specific types of NP, which include antidepressants and anticonvulsants. Even with these first-line therapies, the majority of patients may not experience complete pain relief. This review presents epidemiological data, summarises available pharmacotherapy treatments and compares recommendations from key organisations, including the National Institute for Health and Care Excellence (NICE), the Neuropathic Pain Special Interest Group (NeuPSIG) and the Canadian Pain Society, as well as other organisations. Information is presented about the screening tools used to help determine the presence of the disorder and classification of NP. Neuropathic pain (NP) is caused by damage or injury to the nerves that transfer information between the brain and spinal cord from the skin, muscles and other parts of the body. NP can negatively impact a patient’s quality of life. Chronic neuropathic pain is associated with poor quality of life. Common peripheral neuropathies include painful diabetic neuropathy, HIV-associated neuropathy, chemotherapy-induced neuropathy, postherpetic neuralgia and trigeminal neuralgia. Guidelines from different countries offer consistent recommendations for treating neuropathic pain. Effective first and second-line therapies include tricyclic antidepressants, duloxetine, venlafaxine, gabapentin, pregabalin and topical lidocaine. Limitations to treatment include incomplete pain relief and medication side-effect profiles. Future research considerations include the use of validated screening tools, multi-modal medication combinations and phenotypic subtyping. Neuropathic pain (NP) has been defined by the International Association for the Study of Pain (IASP) as “pain caused by a lesion or disease of the somatosensory nervous system.” NP is a common condition that results from various aetiologies and can be categorised into either peripheral or central NP syndromes. Central NP is the result of a central lesion or disease such as stroke, multiple sclerosis or spinal cord injury, whereas peripheral NP occurs from dysfunction or damage to peripheral nerves. Data have indicated that 8% of the general population in the UK experience pain of neuropathic origin. In France, 7% of the general population are affected by NP. A study in Canada reported that 17.9% of the general population reported chronic pain with neuropathic symptoms; however, a recent Canadian study has reported lower percentages. A study in the United States (US) revealed that the prevalence rates for NP determined by either clinical examination or self-reporting were 9.8% and 12.4%, respectively. It is difficult to obtain a true estimate, due to epidemiological studies using different methods of assessment and different definitions of NP. A recent systematic review of epidemiological NP studies across the world by van Hecke et al. suggests that the prevalence likely lies between 6.9% and 10% in the general population. NP can negatively impact a patient’s quality of life,,,. Patients suffering from chronic NP have higher degrees of anxiety and depression scores, as well as sleep disturbances, compared with patients with non-neuropathic chronic pain, and patients without chronic pain,. A study by Smith et al. described that the presence of NP was associated with worse health and function. Information about the common types of peripheral NP and their pharmacological treatments is presented. In addition, the recommendations from different organisations are highlighted and compared in order to provide healthcare professionals with a global perspective on the treatment of NP. 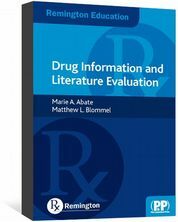 Information for this narrative review was collected based on a search of the literature in the following areas: evidence-based guidelines for the treatment of NP, Cochrane reviews and meta-analyses of the use of different classes of medications used to treat NP. The following databases were also searched for relevant information: Embase (January 1990–May 2017), PubMed/Medline (January 1990–May 2017) and Cochrane Database of Systematic Reviews (January 2009–August 2017). Key terms used to search these databases include “neuropathic pain” and “neuropathy”. References of retrieved articles were scanned for additional relevant studies. Peripheral NP is the result of injury to nerve fibres due to various aetiologies including toxic, traumatic, ischaemic, metabolic, infectious or compressive damage. Positive symptoms are typically altered or painful sensations such as tingling, prickling, or pain described as shooting, stabbing, burning, or having an electric shock sensation. Negative symptoms are described as diminished sensations due to loss of sensory function. Patients may also experience allodynia (pain caused by a stimulus that usually does not cause pain), hyperalgesia (increased pain from a stimulus that normally provokes pain), and anaesthesia dolorosa (pain in an area that is anaesthetic or numb),. The diagnosis of NP is primarily based on patient history and physical examination. The Special Interest Group on Neuropathic Pain (NeuPSIG) recently updated a grading system to assist with determining the level of certainty that the pain is neuropathic in nature and not related to other causes. The grading system allows patients to be categorised into “possible”, “probable” and “definite” NP. For patients to be classified at the possible level, pain distribution must be consistent with suspected lesion or disease, and patient history must be assessed and associated with NP using validated screening tools (Table 1),,,,,,. The next level of probable NP is obtained through clinical examination, particularly focusing on negative sensory signs. “Definite” NP requires an objective diagnostic test to confirm a lesion or disease that affects the somatosensory nervous system. If a patient is classified with probable or definite NP, consideration should be given to pharmacologic treatment using clinical guidelines. NP has multiple aetiologies. Some of the more common underlying conditions that are associated with NP include diabetic peripheral neuropathy, HIV-associated neuropathy, chemotherapy-induced peripheral neuropathy (CIPN), postherpetic neuralgia (PHN) and trigeminal neuralgia. Although the aetiologies may vary, the signs and symptoms of NP that patients experience can be similar. Diabetic peripheral neuropathy is a condition that affects many patients with diabetes. In the UK, the annual incident rate per 10,000 population for painful diabetic neuropathy was 3.1. Diabetic neuropathy is recognised in patients with diabetes by the presence of peripheral nerve dysfunction symptoms after other causes have been excluded. Symptoms of this type of neuropathy include numbness, tingling, poor balance, and pain that is described as burning, having electric shocks sensations, and/or stabbing. Although the exact mechanism is unknown, this type of NP is thought to be the result of oxidative and inflammatory stress caused by metabolic dysfunction, which ultimately damages the nerve cells. Diabetic neuropathy plays a major role in foot ulcerations, the development of Charcot neuroarthropathy, falls and fractures. HIV-associated sensory peripheral neuropathy (HIV-SN) is considered the most prevalent neurological complication associated with HIV infection. This type of neuropathy presents as a distal polyneuropathy in a symmetrical pattern that occurs in patients with both treated and untreated HIV infections. HIV-SN can be the result of injury to the nerve by the HIV virus itself, or it could be caused by medication-induced mitochondrial dysfunction of the nerve cells. Risk factors associated with the development of HIV-SN include exposure to neurotoxic antiretroviral drugs, increasing age, malnutrition, ethnicity, increasing height, certain genetic factors and comorbid conditions such as diabetes. CIPN is the most common neurological cancer treatment complication. It is a dose-dependent, adverse effect associated with chemotherapy agents such as platinum drugs, vinca alkaloids, bortezomib and taxanes. These agents cause sensory nerve damage in the dorsal root ganglion. Patients with CIPN describe the spectrum of pain and numbness as symmetric and distal, with a “glove and stocking” distribution. The symptoms may become progressively worse as chemotherapy is continued,. In many cases, CIPN improves once the therapy is discontinued; however, with cisplatin and oxaliplatin, it may continue even after the drugs have been discontinued. PHN is type of NP that develops when the herpes zoster virus is reactivated. The virus remains latent in the dorsal root ganglion until the patient’s immunocompetence begins to decrease due to increasing age, HIV infection, cancer or immunosuppressive therapy, at which time the virus can reactivate. The virus can affect the nerves through sensitisation (hyperexcitability) and deafferentation (sensory nerve death or damage). Pain is typically distributed unilaterally along spinal dermatomes or the ophthalmic branch of the trigeminal nerve. The annual incidence rate per 10,000 population for post-herpetic neuralgia was 3.4 in the UK. Trigeminal neuralgia is the most frequent cranial neuralgia. In the UK, the incidence of trigeminal neuralgia is reported as 28 per 100,000 person years observation. Patients with trigeminal neuralgia experience facial pain limited to areas associated with one or more branches of the trigeminal nerve,. The symptoms that patients experience are the result of compression of this nerve by vasculature or tumours. This type of pain can also be caused by demyelination in patients with multiple sclerosis. Pain attacks begin suddenly and last from several seconds to a couple of minutes. The pain is usually unilateral in nature and is described as sharp, shooting, shock-like, burning and excruciating. These attacks are usually accompanied by involuntary spasms or contractions of the facial muscles. Trigeminal neuralgia is usually triggered by non-painful physical stimulation of a specific area that is located close to the pain. Patients with NP typically do not respond to traditional analgesics (paracetamol, NSAIDs) or weak opioids because these do not focus on treating the types of symptoms associated with NP. Many patients do not achieve satisfactory pain relief even with evidence-based treatment, or do not tolerate effective doses because of adverse effects,. In this article, a brief description of the mechanism of action (MOA) for each drug class is provided, along with UK dosing information. Detailed descriptions of the MOA have been reported in other studies,. In addition to dosing information, adverse effects and precautions/contraindications for medications used in the treatment of NP are presented in Table 2,,,,,,,,,,,. Adverse effects may be more severe in older patients, lower starting doses and more gradual titration recommended. No more than three patches at a time. Individualise dosage according to response. *Not indicated in the treatment of NP in the UK. **Use is not currently included in the labelling approved by the US Food and Drug Administration (FDA). ***Indicated in UK for postherpetic neuralgia only. Pregabalin and gabapentin both bind to the calcium channel α2 -δ subunit resulting in decreased central sensitisation and nociceptive transmission,. The onset of action is more rapid in pregabalin and, because of a narrower dosing range, it requires less titration. Pregabalin is typically not effective at its starting dose of 150mg/day, divided either two or three times daily, so it may be titrated up to 300mg/day after one to two weeks. An adequate trial duration, in order to assess efficacy, is four weeks. Pregabalin can be increased to 600mg/day if the patient is tolerating 300mg/day but is experiencing persistent pain, although the larger dose is not necessarily more effective. Gabapentin is started at a dose of 300mg on day one and titrated up to a total daily dose of 1,800–3,600mg. The dose can be increased in increments of 300mg/day every two to three days. The titration rate should not exceed a total daily dose of 1,800mg/day at the end of week one, 2,400mg/day at the end of week two, and 3,600mg/day at the end of week three. Equivalent doses given three times a day is optimal, but a higher dose may be given at bedtime to limit daytime sedation. An adequate trial of gabapentin is between 5 and 10 weeks with at least 2 weeks of therapy at the maximum tolerated dose. An extended-release form of gabapentin, gabapentin enacarbil, has also been used for NP treatment; however, it is not available to prescribe on the NHS in the UK. A systematic review and meta-analysis by Finnerup et al. found that the numbers needed to treat (NNT) for 50% pain relief in patients using pregabalin and gabapentin were 7.7 and 7.2, respectively. Pregabalin and gabapentin are usually well tolerated, but common adverse effects included somnolence, dizziness, ataxia and fatigue. Aadverse effects, such as peripheral oedema and weight gain, may limit their use. Both come with a risk of increased suicidal thoughts or behaviours and both should be dose adjusted for patients will renal impairment. Older patients may be more susceptible to adverse effects from either medication, therefore, lower starting doses and a slower titration is recommended. Tricyclic antidepressants (TCAs), such as amitriptyline, nortriptyline and desipramine, achieve their effects by inhibiting norepinephrine reuptake in the spinal dorsal synapses and have secondary activity at sodium channels. Because of the fewer side effects, nortriptyline and desipramine are preferred in older patients or in those likely to experience adverse effects, however, neither are recommended for use in the UK. Adverse effects are the main limitations of this class of medications and include somnolence and anticholinergic effects. There is also concern about TCAs causing possible cardiotoxicity, therefore, caution should be used in patients with known or suspected cardiac disease,. TCAs should be started at low doses (10mg to 25mg/day), at bedtime and can be titrated up to 75mg/day. Patients will usually see the analgesic effect after two to four weeks of therapy. The review and meta-analysis by Finnerup et al. found that the quality of evidence for the effectiveness of amitriptyline in NP was moderate. The NNT for amitriptyline was reported as 3.6. A Cochrane review in 2015 by Moore et al. could not provide good-quality, unbiased evidence to support the use of amitriptyline in the treatment of NP. The review did not find any lack of efficacy, but the concern was that there may be an overestimation of treatment effect. It was emphasised that amitriptyline should continue to be used as part of the treatment for NP, but only a minority of people will experience good pain relief. Serotonin norepinephrine reuptake inhibitors (SNRIs) work to block the presynaptic serotonin and norepinephrine transporter proteins, which inhibits the reuptake of these neurotransmitters. Duloxetine inhibits the neurotransmitters equally, whereas venlafaxine inhibits only serotonin at doses less than 150mg/day, but inhibits both serotonin and norepinephrine at higher doses. The combined NNT for both SNRIs was reported as 6.4 (quality of evidence was high). Both medications are associated with increasing blood pressure and cardiac conduction abnormalities so should be used cautiously in patients with cardiac disease,. Duloxetine is usually dosed at 60–120mg but the incidence of nausea, its most common adverse effect, may be reduced if patients start at 30mg/day,,. One of duloxetine’s adverse effects, anorexia, may cause weight loss that could be advantageous in certain populations. Older patients may experience more severe adverse effects so it is recommended to start at a low dose and titrate slowly. In painful diabetic neuropathy, duloxetine had a higher level of evidence of pain reduction compared with venlafaxine. Venlafaxine is dosed between 150 and 225mg/day, and can lower the seizure threshold,. An adequate trial of venlafaxine is four to six weeks. When discontinuing either duloxetine or venlafaxine, doses should be tapered down gradually to prevent withdrawal symptoms. Overall, these medications are not recommended as first-line therapy because of concerns about diversion, misuse, opioid-associated overdose, morbidity and death,,,. These medications should be avoided in those with a history of substance abuse. Tramadol and tapentadol are more specifically discussed in recent guidelines, however, other agents evaluated include oxycodone and morphine. Tramadol, a centrally acting analgesic, has weak mu-opioid receptor agonist activity and inhibits norepinephrine and serotonin reuptake,,.Tramadol was found to be effective (NNT: 4.7), but the quality of evidence is moderate. Tramadol is limited by its potential for abuse as mentioned above, even though the risk is lower compared with other opioids. Tapentadol is another centrally acting opioid analgesic that is a mu-opioid agonist, but also inhibits noradrenaline reuptake. Finnerup et al. determined that the effectiveness of tapentadol was inconclusive owing to both negative and positive findings with potential biases. The abuse potential of tapentadol may be similar to other opioids, although because of its low use compared with other opioids, the risk for addiction is currently unknown. At this time, tapentadol is not a recommended treatment for NP in the UK. Cochrane reviews have reported low or very low-quality evidence related to the use of strong opioids in the treatment of NP. A 2016 review by Gaskell et al. reported that three out of the five studies showed a 30% reduction in pain, and no study reported a 50% reduction in pain with oxycodone. Additional Cochrane reviews reported that there is no evidence for the use of or against hydromorphone, fentanyl, morphine or buprenorphine in the treatment of NP. These reviews do not provide much evidence because of the limited number of studies that focus on these medications as treatment for NP, limited participants in the studies, bias and the potential mishandling of dropout information. For peripheral NP, the meta-analysis by Finnerup et al. emphasised utilising topical treatments as second- or third-line therapies. These include capsaicin, lidocaine and botulinum toxin type A. Topical therapies are recommended in patients with local NP (e.g. postherpetic neuralgia) and may be considered first-line therapies for populations such as elderly patients who may have differences in their drug distribution, metabolism and elimination. Advantages of topical or local therapies include lower systemic drug levels, fewer adverse effects and fewer drug interactions,,. Unlike systemic therapies, titration is unnecessary with targeted topical therapies. Capsaicin 8% patches are single application patches that can reduce pain for up to 12 weeks, but must be applied by a healthcare provider in a clinic with either local anaesthesia or short-acting opioids to reduce pain associated with application,. Capsaicin is derived from hot chili peppers and desensitises TRPV-1 sensory axons over several days to decrease depolarisation, initiation of an action potential and pain signal transmission. Repeated applications can result in “defunctionalisation” or a long-lasting effect due to reversible degeneration of nerve terminals. The NNT for the Capsaicin 8% patch was reported to be 10.6, but was also identified as susceptible to publication bias. The long-term safety of repeated applications of these patches has not been established. Creams are of limited use because they must be applied multiple times per day and can cause pain for the first few weeks of therapy. Lidocaine, either in 5% patches or gel, acts locally to reduce spontaneous ectopic nerve discharge by antagonising sodium channels,. Lidocaine plasters or patches are licensed in the UK, Europe and US for the treatment of post-herpetic neuralgia only. It is also listed on PrescQIPP DROP-List, as there are cheaper and safer alternatives. Patches can be cut if needed and should be applied to painful sites. Minimal absorption occurs if hepatic function is normal, but if patients take a Class I arrhythmic medication, systemic absorption should be considered. Titration is not necessary but patients should allow two to four weeks for an adequate trial. Skin reactions at the site of application can be seen. Evidence for the efficacy in the treatment of postherpetic neuralgia is limited. Subcutaneous injections of botulinum toxin type A has shown efficacy for the treatment of peripheral NP,. The NNT found with a single administration of this therapy compared with placebo was 1.9; however, the strength of the recommendation to use this therapy is weak because of the limited quantity of evidence. Botulinum toxin type A is a neurotoxin that treats focal muscle hyperactivity with repeated administration locally over six months. Several small trials have studied its use in patients with postherpetic neuralgia, trigeminal neuralgia and diabetic neuropathy with positive results,,,,. There are other medications (e.g. selective serotonin receptor inhibitors, other antiepileptics, mexiletine, clonidine and sodium valproate) that have been evaluated and have shown inconsistent, weak or negative results; had study limitations; or unacceptable adverse effects,. Cannabinoid use for NP has been recommended as a third-line agent in a few select guidelines, but the use of this product is not recommended in the UK for the treatment of NP pain. It is associated with dizziness, sedation, dry mouth, oral discomfort and gastrointestinal adverse effects. Additionally, cannabinoids should not be used in patients with a history of heart disease or psychiatric disorders. There is concern and controversy about their long-term use. Interventional therapies may be considered in select patients with refractory NP if medications fail to provide relief. Spinal cord stimulation is recommended by the National Institute for Health and Care Excellence (NICE) guidelines as a therapy for patients who experience chronic NP for greater than six months despite standard treatments and have had successful trials with spinal cord stimulation by a specialist. Other interventional therapies include transcutaneous electrical nerve stimulation, sympathetic nerve blocks and steroid injections. Nonpharmacological treatments have also been suggested to help patients suffering from NP. In general, nonpharmacologial treatments are considered safe and may decrease pain, decrease the use of medications and help increase function. They may also aid in improving the patient’s overall quality of life. A Cochrane review did not find sufficient evidence to evaluate the effectiveness of exercise in NP. However, it did state that there were several small trials that have shown exercise may help patients with muscle strength, functional ability and fatigue. Recommendations for exercise in patients with NP include both aerobic and strengthening exercises. Psychotherapy is another nonpharmacological treatment that has received attention for helping patients with NP. Cognitive behavioural therapy is a type of psychotherapy that uses methods to assess biases associated with pain and avoiding unpleasant thoughts. A Cochrane review focused on psychotherapy as a treatment for NP found insufficient evidence on the efficacy or safety of psychotherapy. Other nonpharmacological treatments include physical therapy and occupational therapy. Combination therapies are often used in patients with NP who have either failed to have a response, or only had a partial response to monotherapy. In theory, utilising lower doses of different classes of drugs may help alleviate or prevent adverse drug effects that are seen with higher doses of monotherapy. Studies have focused on the use of combination therapies and have found mixed results. A meta-analysis of two studies did find that a combination of gabapentin with an opioid were superior to monotherapy (or placebo), but the combination of the two medications were associated with higher drop-out rates due to adverse effects. A large study that focused on comparing duloxetine and pregabalin at high doses as monotherapy to lower doses in combination did not show any difference in efficacy or side effects. Owing to the limited number of studies, there is not much available evidence that supports specific combinations of medications for NP. Researchers continue to seek new treatments for NP. There are new voltage-gated sodium channel blockers that are receptor specific and may have less risk of cardiac, motor and central nervous system adverse effects,. A new selective angiotensin type 2-receptor antagonist, EMA401, has been used in trials including one that focused on treating patients with postherpetic neuralgia. Additional medications that are being evaluated include acetyl-L-carnitine and alpha-lipoic-acid. A review of stem cell therapy focused on preclinical data suggested that adult stem cell therapy in patients with NP showed positive effects, with peripheral appearing to be more responsive than central NP. Personalised pain therapy is another approach that can provide patients with the most effective treatment for NP. The phenotype-based classification system focuses on categorising patients by mechanisms responsible for NP rather than aetiology,. By focusing on patients’ profiles of signs and symptoms, researchers can identify treatment responders. Several phenotypes have been identified and are associated with a positive response to various treatments. Studies that focus on genetics and subgrouping patients based on their phenotypes may play an important role in the future of personalised pain management for NP. 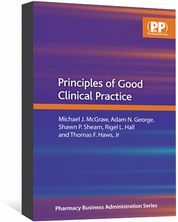 Guidelines and recommendations presented by key organisations around the world focus on NP in general or on specific types of NP. 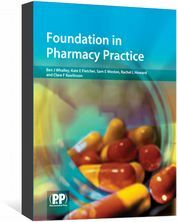 The following recommendations from each organisation are designed to help healthcare practitioners select appropriate pharmacologic treatment for patients with NP. In addition to the recommendations listed in this article, there are also local guidelines available to help guide therapy for NP. NICE provided recommendations for treating patients with NP in non-specialist settings in 2013, which were updated in February 2017. In September 2017, it was decided that these guidelines did not require updating futher at this time. First-line treatments for NP include a choice of monotherapy with amitriptyline, duloxetine, gabapentin or pregabalin (see Table 3). If a patient does not experience effective results, or if the medications cannot be tolerated, then it is recommended to choose one of the three remaining first-line therapies. If a patient does not respond, then trials with the other first-line agents should be initiated. Tramadol may be considered for short-term, acute rescue therapy, but long-term use is not recommended unless advised by a pain specialist. For patients with painful diabetic neuropathy, the first-line choice is duloxetine, unless contraindicated (see Table 4). Capsaicin cream may be used for localised NP if a patient cannot tolerate the oral first-line agents. NICE also recommends carbamazepine for the first-line treatment of trigeminal neuralgia. These recommendations are based on high- or moderate-quality RCTs and cost-effectiveness. *Duloxetine is the most studied SNRI and, therefore, recommended. **Doses ≥75mg of amitriptyline, imipramine or dopamine are not recommended for patients ≥65 years. ***Long-term use of tramadol should not be used in non-specialist settings unless advised by a specialist. ****Long-term safety of repeated applications of high-concentration capsaicin patches has not been established. As for other therapies, the guideline development group also states that treatment with cannabis sativa extract, capsaicin patch, lacosamide, lamotrigine, levetiracetam, oxcarbazepine, topiramate, venlafaxine and opioids (e.g. morphine) should not be started without being recommended by a pain specialist. The group states that although combination therapy is commonly prescribed, there is a lack of evidence showing tolerability and cost-effectiveness with various drug combinations. This special interest group provides guidelines that cover the assessment, the interventional management and the pharmacological management of NP. In 2015, NeuPSIG revised its recommendations for the pharmacotherapy of NP after performing a systematic review and meta-analysis of RCTs in patients with this condition. For general NP, NeuPSIG strongly recommends the use of duloxetine, extended-release gabapentin, gabapentin, pregabalin, venlafaxine and TCAs as options for first-line therapies (Table 3). Duloxetine has been studied more, and is the preferred choice of SNRIs. NeuPSIG also recommends that TCAs not be used in doses greater than 75mg in patients aged 65 years and older because of the adverse effect profile and the potential risk for falls in this patient population. NeuPSIG also has weak recommendations for treating peripheral NP with capsaicin 8% patches and lidocaine patches, although it does caution that not much is known about the safety of long-term use of capsaicin. Strong opioids are now recommended as a third-line agent because of the potential risk for abuse, overdose, mortality, diversion and misuse. NeuPSIG listed recommendations against the use of some pharmacological therapies to treat NP. It provided a weak recommendation against the use of cannabinoids in NP because of negative results, potential misuse, diversion and long-term mental health risk in susceptible individuals. NeuPSIG also provided a weak recommendation against the use of valproate and a strong recommendation against the use of levetiracetam and mexiletine. Many therapies (e.g. combination therapy, SSRIs, capsaicin cream etc.) were found to be inconclusive. In 2014, the Canadian Pain Society (CPS) updated guidelines that provided healthcare providers with an evidence-based approach to managing patients suffering from NP. The organisation presented NP management in a stepwise approach. Gabapentinoids, TCAs and SNRIs individually are considered first-line treatments (Table 3). The CPS also states that if a first-line agent only provides partial relief, it is reasonable to add another first-line agent for combination therapy. 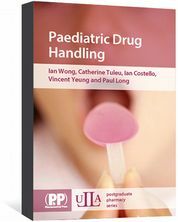 Although the CPS does not have any recommendations regarding specific drug combination pharmacotherapy for NP, it does emphasise that this practice may be beneficial. Second-line agents for NP include tramadol and opioid analgesics. When prescribing these medications, caution should be used because of their extensive side-effect profiles and risk of addiction, misuse and abuse. Patients on these medications should also be monitored (strong recommendation) and providers should consult the Canadian Guidelines for the Safe and Effective Use of Opioids for Chronic Noncancer Pain. The CPS also states that cannabinoids are considered a third-line agent for NP, but require judicious prescribing practices and close monitoring. Fourth-line agents for NP include topical lidocaine, methadone, tapentadol, lacosamide, lamotrigine and topiramate. The CPS also provides recommendations specifically for PHN. Carbamazepine is considered first-line therapy for this condition and topical lidocaine is a second-line agent. The American Academy of Neurology (AAN) published an evidence-based guideline that focused on the efficacy of treatment to reduce pain and improve quality of life in patients with painful diabetic neuropathy in 2011. In 2016, the guideline developers reaffirmed the 2011 findings. Pregabalin was found by the AAN to have the strongest evidence in support of efficacy to treat painful diabetic neuropathy (see Table 4) as it lessened the pain, caused less sleep interference and improved quality of life. Additional medications from various classes also showed probable efficacy and could be considered for the treatment of diabetes-related NP (Table 4). AAN recommends against the use of sodium valproate and opioids in NP. The use of capsaicin may be limited because many patients experience side effects such as burning. The American Diabetes Association (ADA) reports that neither glycemic control nor lifestyle management provide effective relief from NP and that pharmacotherapy is necessary to control symptoms. In the most recent 2017 position statement, the ADA supports the use of pregabalin and duloxetine to treat NP in patients with diabetes (see Table 4). This recommendation received its highest level of evidence, a Level A rating, which is based on large well-designed trials and/or meta-analyses. Gabapentin received a Level B recommendation as an initial approach to NP treatment with cautions concerning comorbidities and potential drug interactions. Even though the US Food and Drug Administration (FDA) does not approve TCAs for treating NP, the ADA states that these medications could also be effective in treating this condition (Level B). The ADA does not recommend the use of opioids, including tramadol or tapentadol as first- or second-line therapies for NP in patients with diabetes because of the high risk of addiction and complications (Level E). The American Society of Clinical Oncology has provided evidence-based recommendations to assist healthcare professionals with the prevention and treatment of CIPN in adult patients. Their recommendations are based on a systematic literature search that focused on the incidence and severity of neuropathy, patient-reported outcomes and the patient’s quality of life. After reviewing 48 RCTs, the American Society of Clinical Oncology was only able to support a moderate recommendation for the use of duloxetine in patients with CIPN. The data were associated with patients who were experiencing neuropathy related to oxaliplatin or paclitaxel therapy. A side-by-side comparison of the recommendations reveal that there is little variation on first- and second-line therapies to treat NP. Most recommendations for first- and second-line treatments are based on antidepressants and antiepileptic medications,,,,,. Opioid use remains controversial and is generally not recommended as first-line treatment,,,,. The evidence to support the use of opioids is lacking, and many organisations state concerns about long-term safety. Adverse effects related to many of these medications can also be very limiting in certain patient populations (e.g. TCAs in elderly patients). Even with these evidence-based recommendations, pain control in patients with NP continues to be a challenge. The goal for most cases of NP is to make the pain tolerable, not necessarily eliminate the pain. Clinically important pain reduction is considered to be a 30% reduction (moderate relief) and 50% reduction (substantial relief). In patients who are receiving a first-line agent for NP, the pain control may be weak or modest,. These medications are estimated to provide pain relief of 40–50%. Epidemiological studies have shown that many times, patients do not receive the treatment that they need to control NP,,. There are many factors that may contribute to the under-treatment of this type of pain, including not recognising NP or not using first-line medications to treat the pain. Finally, there is a lack of well-designed clinical trials identifying new therapeutic approaches with improved efficacy and tolerability to treat NP. One issue that limits the progress of studies is the risk of high placebo effect. Placebo response in studies can contribute to the underestimation of the treatments effects. While placebo responses increase and drug responses remain the same, the therapeutic advantage is diminished. Studies have shown a correlation between higher placebo response rates and certain types of NP. HIV-related NP has high placebo response. Patients with peripheral NP were found to have higher levels of placebo response compared with patients with central NP,. Patients with diabetic neuropathy compared with postherpetic neuralgia also demonstrated higher placebo response,. Factors that were found to have lower placebo responses included male patients, increased age, higher baseline pain intensity and longer durations of NP. Since the effectiveness of pain management for patients with NP is limited, future studies are needed to support new treatment approaches. Furthermore, as pain management should be multi-modal, trials focusing on combination pharmacotherapy treatments to provide strong evidence for efficacy and tolerability are also required. Advances have been made to help identify patients suffering from true NP, with the use of validated screening tools and staging to help reduce diagnostic heterogeneity,. Emphasis should also be placed on mechanism-based treatment strategies by identifying responders through phenotyping,,,. These suggestions may be considered during the design and implementations of future trials in NP. NP is a condition that affects the quality of life of many patients. Because of the complexity of this disorder, NP is often difficult to treat effectively. A comparison of NP treatment guidelines from various sources reveals that the preferred classes of medications recommended are consistent. At this time, the recommend treatments for general peripheral NP are amitriptyline, duloxetine, pregabalin and gabapentin as first-line therapies. When using these medications it is important to be cognisant of the patient’s renal function, age and other comorbidities that could impact medication selection. Patients who receive pharmacotherapy for NP can expect a reduction in pain, but the majority do not experience complete pain relief. Jensen T, Baron R, Haanpää M et al. A new definition of neuropathic pain. Pain 2011;152(10):2204–2205. Colloca L, Ludman T, Bouhassira D et al. Neuropathic pain. Nat Rev Dis Primers 2017;(3):17002. Meacham K, Shepherd A, Mohapatra D et al. Neuropathic pain: central vs peripheral mechanisms. Curr Pain Headache Rep 2017;21(6):28. Torrance N, Smith BH, Bennett MI et al. The epidemiology of chronic pain of predominantly neuropathic origin. Results from a general population survey. J Pain 2006;7(4):281–289. Bouhassira D, Lantéri-Minet M, Attal N et al. Prevalence of chronic pain with neuropathic characteristics in the general population. Pain 2008;136(3):380–387. Toth C, Lander J & Wiebe S. The prevalence and impact of chronic pain with neuropathic pain symptoms in the general population. Pain Med 2009;10(5):918–929. VanDenKerkhof E, Mann E, Torrance N et al. An epidemiological study of neuropathic pain symptoms in Canadian adults. Pain Res Manag 2016;2016:9815750. Smith BH & Torrance N. Epidemiology of neuropathic pain and its impact on quality of life. Curr Pain Headache Rep. 2012;16:191–198. van Hecke O, Austin SK, Khan RA et al. Neuropathic pain in the general population: a systematic review of epidemiological studies. Pain 2014;155(4):654–662. Bouhassira D, Letanoux M & Hartemann A. Chronic pain with neuropathic characteristics in diabetic patients: a French cross-sectional study. PLoS One 2013;8(9):e74195. Van Acker K, Bouhassira D, De Bacquer D et al. Prevalence and impact on quality of life of peripheral neuropathy with or without neuropathic pain in type 1 and type 2 diabetic patients attending hospital outpatients clinics. Diabetes Metab 2009;35(3):206–213. Argoff C, Cole B, Fishbain D et al. Diabetic peripheral neuropathic pain: clinical and quality-of-life issues. Mayo Clin Proc 2006;81(4 Suppl):S3–11. Gore M, Brandenburg N, Dukes E et al. Pain severity in diabetic peripheral neuropathy is associated with patient functioning, symptom levels of anxiety and depression, and sleep. J Pain Symptom Manage 2005;30(4):374–385. Attal N, Lanteri-Minet M, Laurent B et al. The specific disease burden of neuropathic pain: results of a French nationwide survey. Pain 2011;152(12):2836–2843. Smith BH, Torrance N, Bennett MI et al. Health and quality of life associated with chronic pain of predominantly neuropathic origin in the community. Clin J Pain 2007;23(2):143–149. Zilliox LA. Neuropathic pain. Continuum (Minneap Minn) 2017;23(2):512–532. Finnerup N, Haroutounian S, Kamerman P et al. Neuropathic pain: an updated grading system for research and clinical practice. Pain 2016;157(8):1599–1606. Jones RC 3rd & Backonja MM. Review of neuropathic pain screening and assessment tools. Curr Pain Headache Rep 2013;17(9):363. Bennett M. The LANSS Pain Scale: the Leeds assessment of neuropathic symptoms and signs. Pain 2001;92(1–2):147–157. Krause SJ & Backonja MM. Development of a neuropathic pain questionnaire. Clin J Pain 2003;19(5):306–314. Bouhassira D, Attal N, Alchaar H et al. Comparison of pain syndromes associated with nervous or somatic lesions and development of a new neuropathic pain diagnostic questionnaire (DN4). Pain 2005;114(1–2):29–36. Freynhagen R, Baron R, Gockel U et al. painDETECT: a new screening questionnaire to identify neuropathic components in patients with back pain. Curr Med Res Opin 2006;22(10):1911–1920. Portenoy R. Development and testing of a neuropathic pain screening questionnaire: ID Pain. Curr Med Res Opin 2006;22(8):1555–1565. Scholz J, Mannion RJ, Hord DE et al. A novel tool for the assessment of pain: validation in low back pain. PLoS Med 2009;6(4):e1000047. Hall GC, Morant SV, Carroll D et al. An observational descriptive study of the epidemiology and treatment of neuropathic pain in a UK general population. BMC Family Practice 2013;14(28). Pop-Busui R, Boulton A, Feldman E et al. Diabetic neuropathy: a position statement by the American Diabetes Association. Diabetes Care 40(1):136–154. Woldeamanuel Y, Kamerman P, Veliotes D et al. Development, validation, and field-testing of an instrument for clinical assessment of HIV-associated neuropathy and neuropathic pain in resource-restricted and large population study settings. PLoS One 2016;11(10):e0164994. Hurley R, Adams M & Benzon H. Neuropathic pain: treatment guidelines and updates. Curr Opin Anaesthesiol 2013;26(5):580–587. Kamerman P, Wadley A & Cherry C. HIV-associated sensory neuropathy: risk factors and genetics Curr Pain Headache Rep 2012;16(3):226–236. Pachman DR, Watson JC & Loprinzi CL. Therapeutic strategies for cancer treatment related peripheral neuropathies. Curr Treat Options Oncol 2014;15(4):567–580. Hershman DL, Lacchetti C, Dworkin RH et al. Prevention and management of chemotherapy-induced peripheral neuropathy in survivors of adult cancers: American Society of Clinical Oncology clinical practice guideline. J Clin Oncol 2014;32(18):1941–1967. Gupta R & Bhaskar A. Chemotherapy-induced peripheral neuropathic pain. BJA Educ 2016;16(4):115–119. Hall G, Carroll D & McQuay HJ. Primary car incidence and treatment of four neuropathic pain conditions: a descriptive study, 2002-2005. BMC Fam Pract 2008;9(26). Kumar S, Rastogi S, Kumar S et al. Pain in trigeminal neuralgia: neurophysiology and measurement: a comprehensive review. J Med Life 2 013;6(4):383–388. Finnerup N & Attal N. Pharmacotherapy of neuropathic pain: time to rewrite the rulebook? Pain Manag 2016;6(1):1–3. Duloxetine. 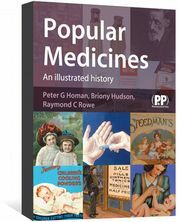 Electronic Medicines Compendium. (Updated June 2017) Datapharm Communications Ltd. Available at: (accessed December 2017). Venlafaxine. Electronic Medicines Compendium. (Updated June 2017) Datapharm Communications Ltd. Available at: (accessed December 2017). Finnerup NB, Attal N, Haroutounian S et al. Pharmacotherapy for neuropathic pain in adults: a systematic review and meta-analysis. Lancet Neurol 2015;14(2):162–173. Moore R, Derry S, Aldington D et al. Amitriptyline for neuropathic pain in adults. Cochrane Database Syst Rev 2015;7:CD008242. Attal N & Bouhassira D. Pharmacotherapy of neuropathic pain: which drugs, which treatment algorithms? Pain 2015;156 Suppl 1:S104–114. Gaskell H, Derry S, Stannard C et al. Oxycodone for neuropathic pain in adults. Cochrane Database Syst Rev 2016;7:CD010692. Stannard C, Gaskell H, Derry S et al. Hydromorphone for neuropathic pain in adults. Cochrane Database Syst Rev 2016;5:CD011604. Derry S, Stannard C, Cole P et al. Fentanyl for neuropathic pain in adults. Cochrane Database Syst Rev 2016;10:CD011605. Cooper TE, Chen J, Wiffen PJ et al. Morphine for chronic neuropathic pain in adults. Cochrane Database Syst Rev 2017;5:CD011669. Wiffen PJ, Derry S, Moore RA et al. Buprenorphine for neuropathic pain in adults. Cochrane Database Syst Rev 2017;9:CD011603. McNicol ED, Midbari A & Eisenberg E. Opioids for neuropathic pain. Cochrane Database Syst Rev 2013;8:CD006146. Arnstein P. Balancing analgesic efficacy with safety concerns in the older patient. Pain Manag Nurs 2010;11(2 Suppl):S11–22. Sawynok J. Topical analgesics for neuropathic pain in the elderly: current and future prospects. Drugs Aging 2014;31(12):853–862. Casale R, Symeonidou Z &Bartolo M. Topical treatments for localized neuropathic pain. Curr Pain Headache Rep 2017;21(3):15. Argoff CE. Targeted topical peripheral analgesics in the management of pain. Curr Pain Headache Rep 2003;7(1):34–38. Anand P & Bley K. Topical capsaicin for pain management: therapeutic potential and mechanisms of action of the new high-concentration capsaicin 8% patch. Br J Anaesthetics 2011;107(4):490–502. Derry S, Wiffen PJ, Moore RA et al. Topical lidocaine for neuropathic pain in adults. Cochrane Database Syst Rev 2014;(7):CD010958. Khaliq W, Alam S & Puri NK. Topical lidocaine for the treatment of postherpetic neuralgia.Cochrane Database Syst Rev 2011;(2)CD004848. Attal N, de Andrade DC, Adam F et al. Safety and efficacy of repeated injections of botulinum toxin A in peripheral neuropathic pain (BOTNEP): a randomized, double-blind, placebo-controlled trial. Lancet Neurol 2016;15(6):555–565. Xiao L, Mackey S, Hui H et al. Subcutaneous injection of botulinum toxin A is beneficial in postherpetic neuralgia. Pain Med 2010;11(12):1827–1833. Apalla Z, Sotiriou E, Lallas A et al. Botulinum toxin A in postherpetic neuralgia: a parallel, randomized, double-blind, single-dose, placebo-controlled trial. Clin J Pain 2013;29(10):857–864. Ranoux D, Attal N, Morain F et al. Botulinum toxin type A induces direct analgesic effects in chronic neuropathic pain. Ann Neurol 2008;64(3):274–283. Wu CJ, Lian YJ, Zheng YK et al. Botulinum toxin type A for the treatment of trigeminal neuralgia: results from a randomized, double-blind, placebo-controlled trial. Cephalalgia 2012;32(6):443–450. Xia JH, He CH, Zhang HF et al. Botulinum toxin A in the treatment of trigeminal neuralgia. Int J Neurosci 2016;126(4):348–353. Yuan RY, Sheu JJ, Yu JM et al. Botulinum toxin for diabetic neuropathic pain: a randomized double-blind crossover trial. Neurology 2009;72(17):1473–1478. Ghasemi M, Ansari M, Basiri K et al. The effects of intradermal botulinum toxin type A injections on pain symptoms of patients with diabetic neuropathy. J Res Med Sci 2014;19(2):106–111. Oh HM & Chung ME. Botulinum toxin for neuropathic pain: a review of the literature. Toxins (Basel) 2015;7(8):3127–3154. Bril V, England J, Franklin GM et al. Evidence-based guideline: treatment of painful diabetic neuropathy: report of the American Academy of Neurology, the American Association of Neuromuscular and Electrodiagnostic Medicine, and the American Academy of Physical Medicine and Rehabilitation. Neurology. 2011;76(20):1758–1765. White CM, Pritchard J & Turner-Stokes L. Exercise for people with peripheral neuropathy. Cochrane Database Syst Rev 2004;4:CD003904. Eccleston C, Hearn L & Williams AC. Psychological therapies for the management of chronic neuropathic pain in adults. Cochrane Database Syst Rev 2015;10:CD011259. Chaparro LE, Wiffen PJ, Moore RA et al. Combination pharmacotherapy for the treatment of neuropathic pain in adults. Cochrane Database Syst Rev 2012;7:CD008943. Tesfaye S, Wilhelm S, Lledo A et al. Duloxetine and pregabalin: high-dose monotherapy or their combination? The “COMBO-DN study”–a multinational, randomized, double-blind, parallel-group study in patients with diabetic peripheral neuropathic pain. Pain 2013;154(12):2616–2625. Nascimento OJ, Pessoa BL, Orsini M et al. Neuropathic pain treatment: still a challenge. Neurol Int 2016;8(2):6322. Rice AS, Dworkin RH, McCarthy TD et al. EMA401, an orally administered highly selective angiotensin II type 2 receptor antagonist, as a novel treatment for postherpetic neuralgia: a randomised, double-blind, placebo-controlled phase 2 clinical trial. Lancet 2014;383(9929):1637–1647. Franchi S, Castelli M, Amodeo G et al. Adult stem cell as new advanced therapy for experimental neuropathic pain treatment. Biomed Res Int 2014;2014:470983. Haanpää M, Attal N, Backonja M et al. NeuPSIG guidelines on neuropathic pain assessment. Pain 2011;152(1):14–27. Dworkin RH, O’Connor AB, Kent J et al. Interventional management of neuropathic pain: NeuPSIG recommendations. Pain 2013;154(11):2249–2261. Moulin D, Boulanger A, Clark AJ et al. Pharmacological management of chronic neuropathic pain: revised consensus statement from the Canadian Pain Society. Pain Res Manag 2014;19(6):328–335. Dworkin RH, Turk DC, Wyrwich KW et al. Interpreting the clinical importance of treatment outcomes in chronic pain clinical trials: IMMPACT recommendations. J Pain 20089(2):105–121. Torrance N, Ferguson JA, Afolabi E et al. Neuropathic pain in the community: more under-treated than refractory? Pain 2013;154(5):690–699. Martinez V, Attal N, Vanzo B et al. Adherence of French GPs to chronic neuropathic pain clinical guidelines: results of a cross-sectional, randomized, “e” case-vignette survey. PLoS One 2014;9(4):e93855. Tuttle A, Tohyama S, Ramsay T et al. Increasing placebo responses over time in US clinical trials of neuropathic pain. Pain 2015;156(12):2616–2626. Cepeda MS, Berlin JA, Gao CY et al. Placebo response changes depending on the neuropathic pain syndrome: results of a systematic review and meta-analysis. Pain Med 2012;13(4):575–595. Arakawa A, Kaneko M & Narukawa M. An investigation of factors contributing to higher levels of placebo response in clinical trials in neuropathic pain: a systematic review and meta-analysis. Clin Drug Invest 35(2):67–81. "The CPS also provides recommendations specifically for PHN. Carbamazepine is considered first-line therapy for this condition and topical lidocaine is a second-line agent" - I believe the first sentence should read "...specifically for trigeminal neuralgia" and not PHN?